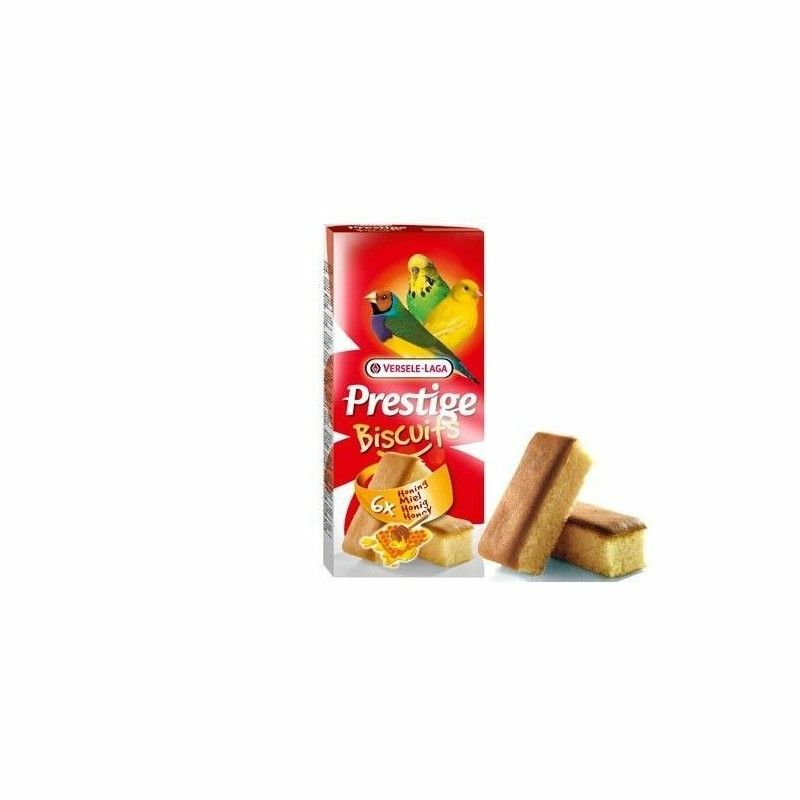 Cake for birds PRESTIGE BISCUITS VERSELE LAGA 6 pcs. 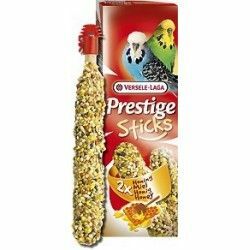 Home > birds>birds>Snacks and treats for birds>Cake for birds PRESTIGE BISCUITS VERSELE LAGA 6 pcs. 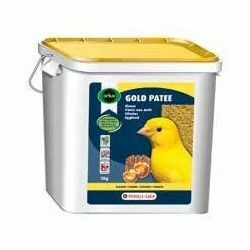 Delicious sponge cake with fruit to complement and enliven the power of small birds such as canaries, exotic and small parakeets. 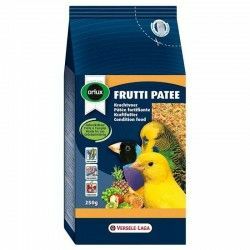 The delicious biscuits of fruit Versele Laga are suitable for parakeets and all kinds of birds. 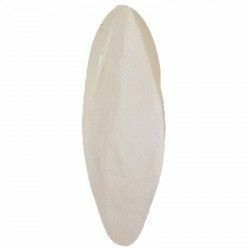 They are soft, easy to digest and made with the highest quality ingredients on a base of eggs and fruit. Each box contains six units that you can use as a reward or treat for your pet, which will strengthen their ties of affection for you and you will feel more happy. These exquisite treats for birds, Versele Laga are low in calories and are a perfect complement to the power of your pet to be more varied. In addition, they provide vitality and mood to your day-to-day, but above all, you will fool your flavor. Treats for birds very tasty. Prepared with natural ingredients of high quality. 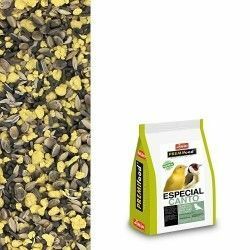 Healthy Snacks for parakeets and other birds of all types, sizes and ages. Are a supplement that in no case replaces the food you normally give your pet. 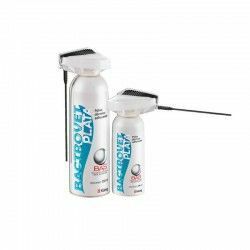 To offer occasionally as a supplement to the main power supply. 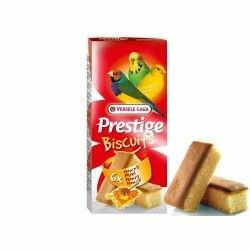 Product Name:Cake for birds PRESTIGE BISCUITS VERSELE LAGA 6 pcs. Description: Delicious sponge cake with fruit to complement and enliven the power of small birds such as canaries, exotic and small parakeets. 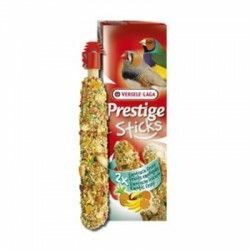 Path: Home > birds > birds > Snacks and treats for birds > Cake for birds PRESTIGE BISCUITS VERSELE LAGA 6 pcs. 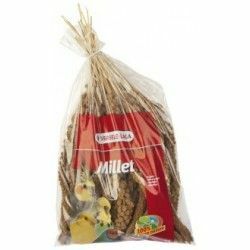 Two sticks of seeds and baked for small parakeets with honey, among other ingredients. With this feast of honey in the form of sticks, your birds will enjoy a true culinary delight. It is impossible to be bored.